I wanted to this add to my last post. Is it just me or does it seem strange… maybe even prophetic… that at the same exact time the principal leaders of the Catholic Church are assembling to consider redefining how their church views the differences between men and women, the principal leaders in the Adventist church are also meeting at our Maryland headquarters in which the hot topics are homosexuality and the distinction of gender roles in the church. Even the two pictures look eerily alike. (Except for the red and pink hats.) I’d like to encourage everybody to fast and pray as our leaders take up these very important subjects in the next couple of days that the Holy Spirit will guide and we will stick to the Scriptures. The future of the church really is in the balance right now! 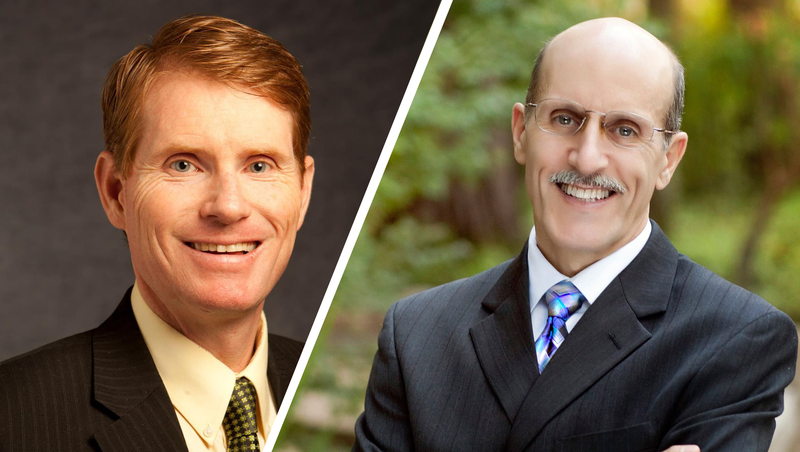 In response to Doug Batchelor's post, Nicholas Miller, professor of Church History at Andrews University and director of the International Religious Liberty Institute, wrote the following open letter on his own Facebook page. We both served on the TOSC together, and fellowshipped in meetings, at worship, and on the Raquetball court. We do not see eye to eye on ordination, but you chose to caucus with group 3, the so-called moderate group. I believed that we had some positive and fruitful discussions about our respective views. You were open and honest when we reached a point where you felt that you could not fully support every aspect of group 3's proposal. I felt that you showed yourself open to dialogue, supportive of women's ministry generally in terms of preaching and evangelizing (though not ordination), and a willingness to avoid the strident rhetoric of the extreme conservatives. 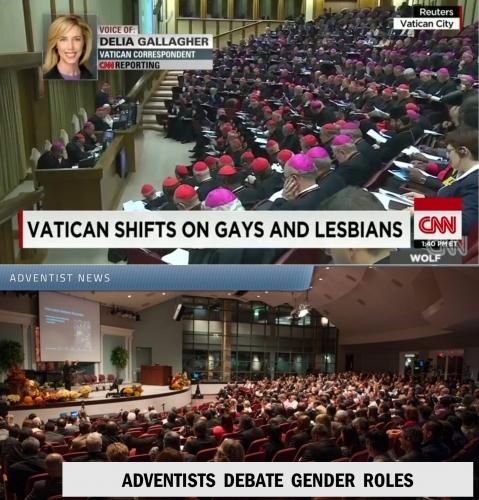 In light of these shared experiences, I am deeply disappointed by the post below comparing the Annual Council's discussion of ordination with the recent Papal Conclave's actions and comments on homosexuality. Your comparison is reasonably perceived as the kind of demonizing of your brothers and sisters that heightens dissension and distrust in the church. It is seen by many as more the action of a demagogue than a pastor, shepherd, and evangelist of the flock. In the past, while not agreeing with you on all things, I have defended to others your ministry as basically positive for the gospel and the church. Posts like this one seriously weaken my ability, and undermine my willingness, to continue to do so. There have been some intemperate responses by some of my brothers and sisters in the work to you in light of your post below. And yet most of these workers do not have the years of experience in working for the Lord and the Church that you do. Thus, in some ways I view you as more responsible for provoking them, then for them being provoked. I urge you as a co-worker for God's kingdom and a brother in Christ, to commit to seeking peaceful conciliation on this matter rather than sending out bugle calls for further war. After our vote in the summer of 2015, one side or another will be disappointed. How our church weathers this disappointment will depend in large measure as to how leaders, such as yourself, prepare them to respond to it. I don't question your loyalty to the church or willingness to stick with it, but your rhetoric is such that many of your followers may well not be able to handle it, and you will have alienated those on the other side of the question. Let us leave claims to infallibility on issues of church order to that other church that you rightly critique. For the love of Christ and the unity of His church, please be a pastor and evangelist for all God's people, not just for those that agree with you on this particular organizational issue.